Wellington is surrounded by beautiful hills and a stunning harbour. 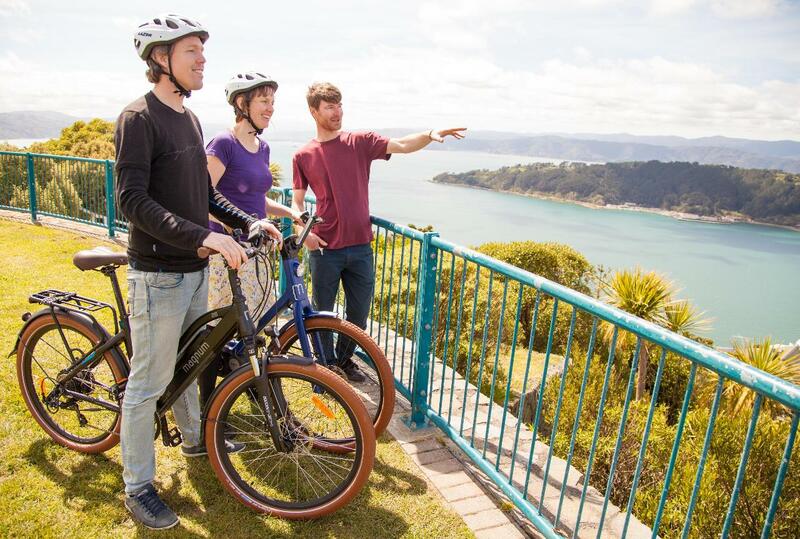 Our eBike Guided Tour introduces you to Wellington and shows off many of it's natural gems. 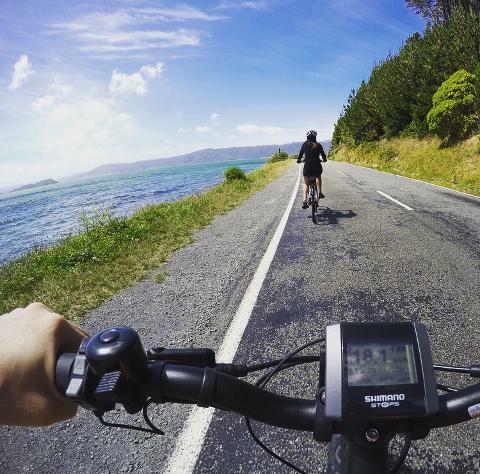 Our modern electric bikes take the hard work out of the hills and any wind along the way. 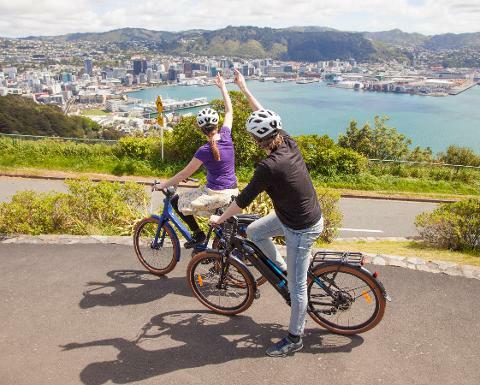 Your local guide will share insights into Wellington's vibrant city and rich culture. 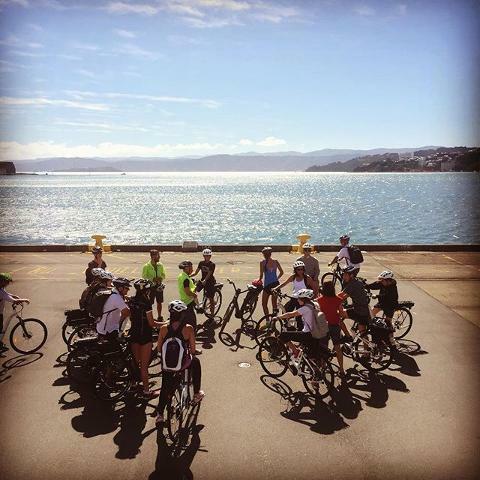 Once you’re comfortable, saddle up for a fun bike tour of Wellington's bays and follow your guide along the Wellington Waterfront. 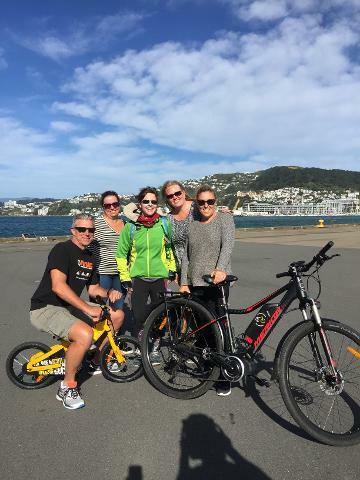 Glide along the seafront, passing the lively harbour and the beaches of Oriental Bay- filled with swimmers and sun-bathers in the summer. 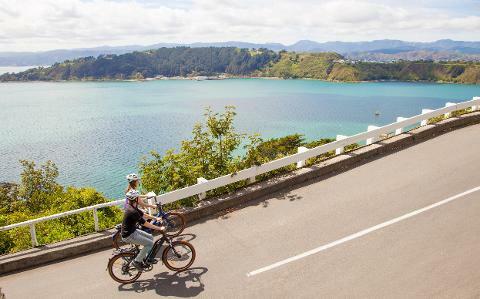 Continue along the Miramar Peninsula and leave the bustle of the city behind as you cycle along the scenic coast. Pause along the way at a local café before looping back towards the city. The tour is light hearted and fun. We've been running these tours for more than 2.5 years and have risen to be the #1 Tour on Trip Advisor. 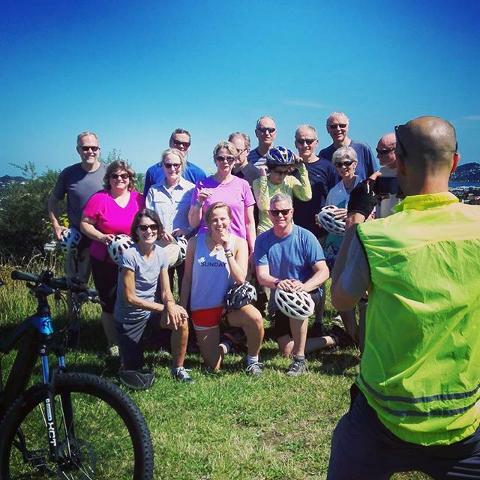 We use modern 'pedal assist' electric bikes- you pedal and the bikes smoothly 'amplify' your own effort up to 275% (our bikes are not throttle activated). You can choose the level of assistance that suits you- strong riders only use the assistance sometimes and occasional riders keep the power level up high! This means that the group are able to ride at the mostly the same speed. The bikes have more than enough battery to ride the whole way on full power.